We know that we can use the below equation in the link to replicate the payoff of a call option using stocks and bonds. I am wondering what the equation would look like for a put option instead. In addition, if the price of the put option is not equal to this value, how would you arbitrage it to make riskless profit? if the price of the put option is not equal to this value, how would you arbitrage it to make riskless profit? You can't always arbitrage just from the mispricing of a put. 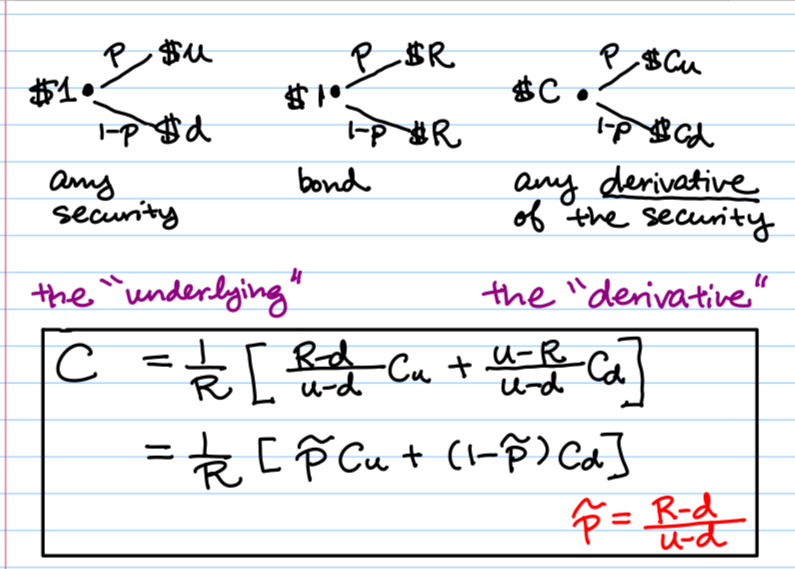 You also have to have another derivative (usually a call at the same strike and expiry) in order to pull off an arb. If the stock goes below the strike, you make money on the stock, lose it on the put, and your call is worthless. If the stock goes above the strike, you'd make money on the stock, lose it on the call, and the put would be worthless. Your profit would be the difference between the put you sold and the call you bought, less any borrowing costs for shorting the stock and the difference between the strike and the current stock price. In reality, though, if a put is "mispriced" in your model, it's because the market is using different values for u and d (and/or different discounting rates), and calls will also be "mispriced", negating this arbitrage opportunity. It's called "put-call parity". Not the answer you're looking for? Browse other questions tagged options put-options hedging option-strategies or ask your own question. Why is a “long put” called long if you have a higher net position if the price decreases?